Brazzaville, 2 October 2018 – With growing momentum to advance universal health coverage, strengthen health security, and ensure sustainable socio-economic transformation of the African continent, the World Health Organization in the African Region and the African Union Commission (AUC) have reaffirmed their commitment to strengthen collaboration between the two institutions to improve people’s health in Africa. 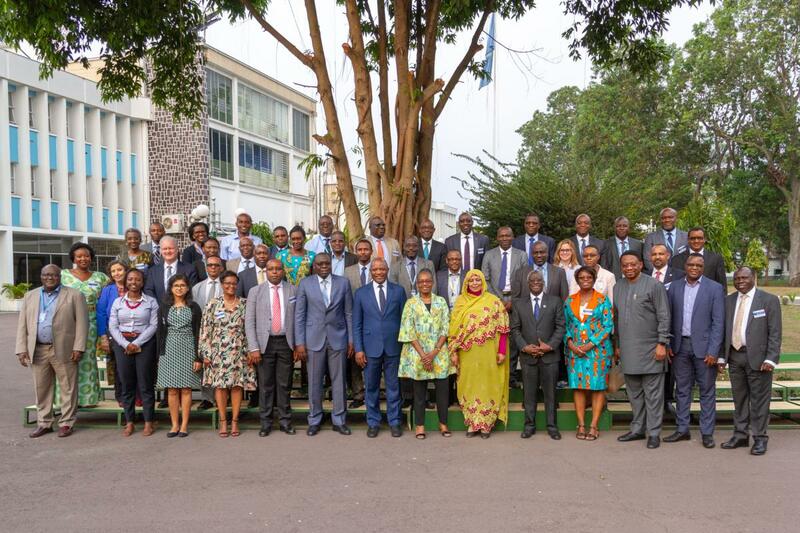 This follows a two-day working session held at the WHO Regional Office in Brazzaville, Congo between a high-level delegation of AUC and WHO and African Centre for Disease Control counterparts. They agreed to implement a joint workplan for 2019-2020 as well as rules of engagement between, WHO and African Centre for Disease Control. Speaking at the meeting, Dr Moeti lauded the excellent collaboration between the AUC and WHO and stressed that one of the pillars of WHO’s reform agenda is strengthening partnerships to improve people’s health. “Unity is strength and we need to work together to transform the health of our people,” she said. The WHO Regional Director for Africa commended the impressive progress made by the Africa CDC since its launch. She noted that its strategic positioning within the African Union Commission gives it a unique opportunity for playing a key role in mobilizing necessary political support to complement WHO’s technical expertise to strengthen our health systems. She underscored WHO’s unique role in providing normative guidance and reiterated country ownership, evidence-based interventions, inclusiveness; focus on results, as the founding principles underpinning the ongoing partnership. In her remarks, the AUC Commissioner for Social Affairs, H.E. Mrs. Amira Elfadil observed that noncommunicable and communicable diseases threaten to reverse the gains made in strengthening health systems. The African Union Commission has refocused health strategies and policies on the continent to address these challenges, but these require enhanced partnerships and coordination at various levels. Addressing the participants, the Director of Africa CDC, Dr John Nkengasong said: “Africa CDC as a new public health institute offers an opportunity to re-imagine public health for greater impact in Africa with a focus on supporting countries to strengthen their national public health institutions and establishing regional networks for surveillance and laboratory for rapid disease response and workforce development”. The aim of the meeting was to take stock of ongoing collaborative efforts, build on lessons learnt, and map out the way forward to maximise benefits for Member States in the African region. In 2015, the AUC and WHO agreed to work together to address the health challenges facing the continent. Some key areas of collaboration were agreed upon including: Medicines and vaccines regulation and establishment of Africa Medicines Agency (AMA), Strengthening health security in Africa; Organization of the second WHO-AU joint ministerial meeting; reporting on Universal Health Coverage; Maternal, new-born, child and adolescent health Reduction of the burden of NCDs and HIV/AIDS, TB.